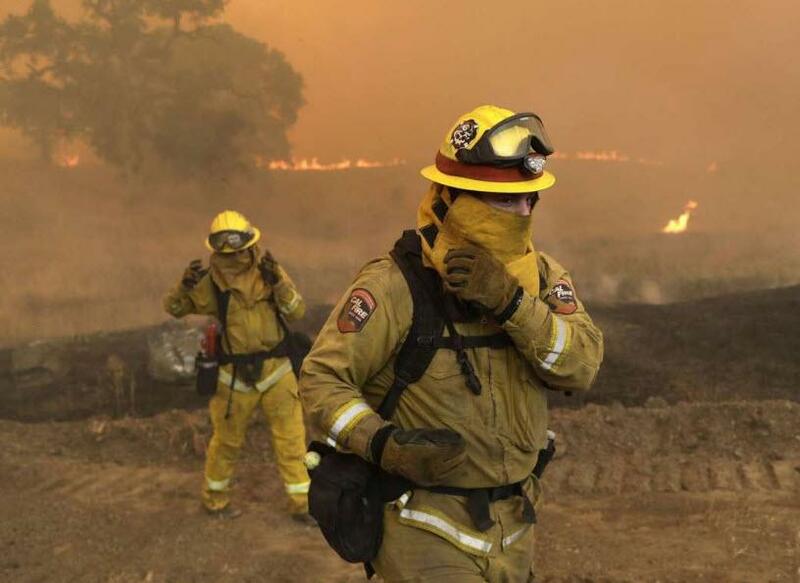 "Everything is on a 100 times scale," exclaimed Craig Cottrill, chief of the Wellington Fire Department in New Zealand, who along with 52 other firefighters from down under, are battling the biggest wildfires California has ever seen. "This thing's massive." They are battling blazes on the Nevada border and along the coast. The fire, started off Highway 20 in Mendocino County, has prompted mandatory evacuations in three counties. 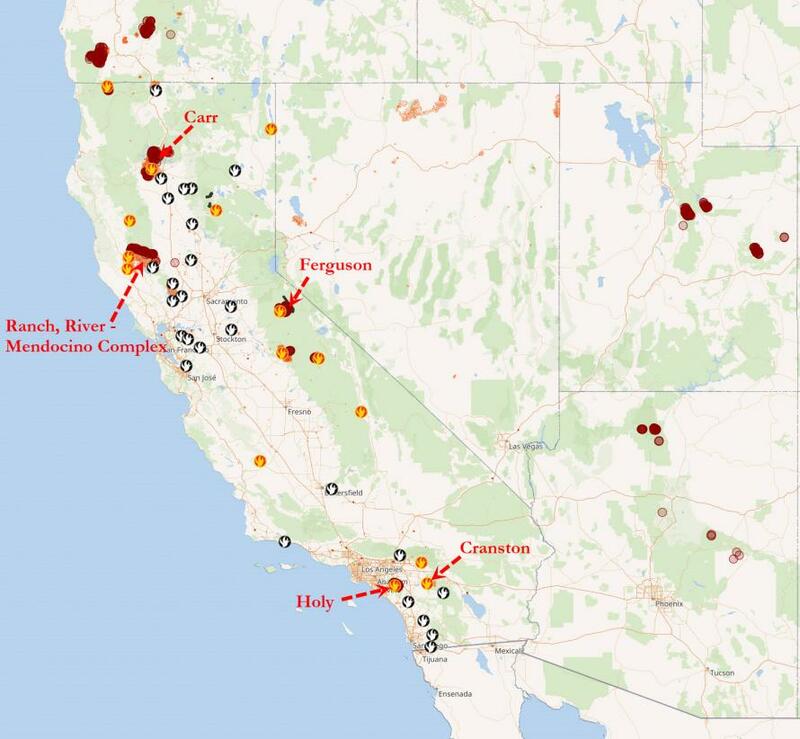 Together with the River Fire, it is the largest wildfire in California’s history. The fire in Mendocino and Lake Counties, south of the larger Ranch Fire, has prompted evacuations. 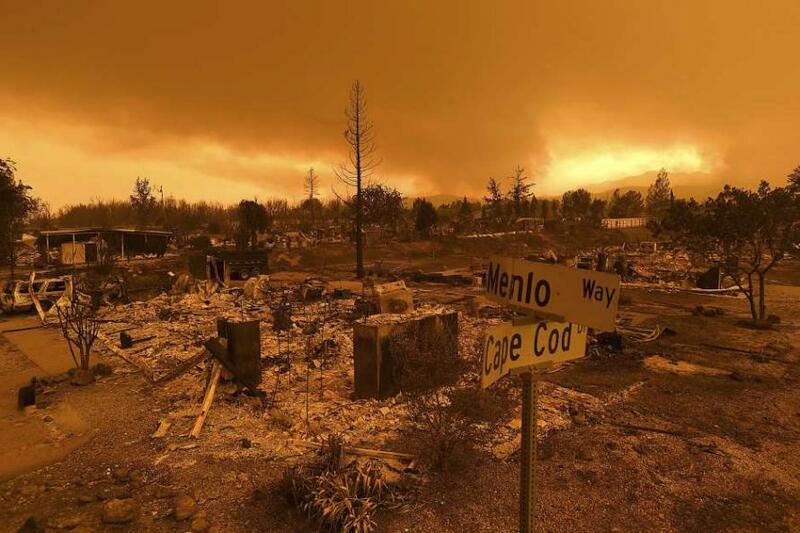 The two fires comprise the Mendocino Complex, California’s largest wildfire in history. An erratic and fast moving fire in Shasta County that spread to Redding and has taken the lives of seven people, including three firefighters. A deadly wildfire burns in steep, rugged forestland along the Merced River west of Yosemite National Park. The fire has taken the lives of two firefighters. A blaze in the Cleveland National Forest has prompted evacuations in Orange County. A suspect has been arrested for arson in connection with the fire. This fire in Riverside County is prompting highway closures and evacuations. A man has been arrested for arson in connection with the fire. 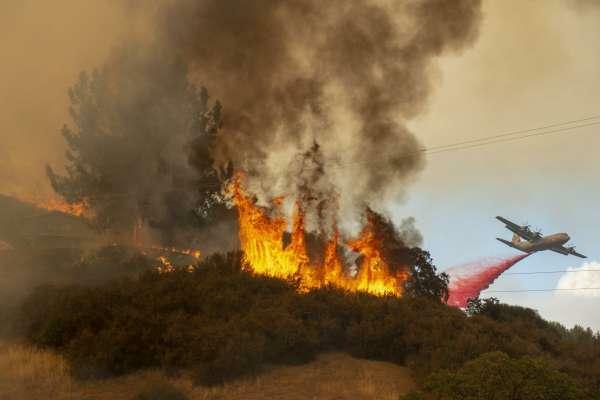 Sadly, the death toll in what was already the most lethal year for firefighters in California since 2008 increased to five on Thursday, when Andrew Brake, 40, of Chico - a heavy equipment mechanic - was killed after falling asleep at the wheel on his way to the fire lines near Redding, a family member told The Chronicle. Brake was the third firefighter killed in the battle to contain the Carr Fire, which has burned 177,450 acres in three weeks, ravaging the area around Redding and destroying 1,077 homes. It continues to scorch steep, dry uninhabited land and has no projected date for containment. Two firefighters died in the early days of the fire as flames roared into Redding: Don Ray Smith, 81, a contract bulldozer operator from Pollock Pines (El Dorado County); and Jeremy Stoke, a fire inspector for the Redding Fire Department. According to figures released by Cal Fire, 22 fire service workers have died on duty since 2008, not including this year. Thirteen of those deaths came in 2008, including nine firefighters killed in a helicopter crash in Trinity County while fighting the Iron Complex Fire. Since then, fire service deaths have been relatively few. A man has been arrested in connection with the Holy Fire burning in the Cleveland National Forest southwest of Corona, according to CBSLA. The Cleveland National Forest Twitter account posted about the arrest late Wednesday morning. 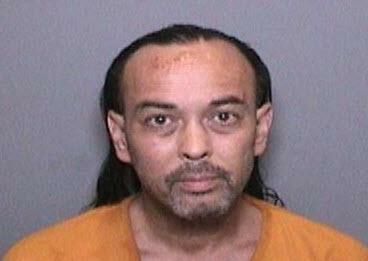 The suspect, 51-year-old Forrest Gordon Clark, was booked into Orange County Jail on suspicion of two counts of felony arson, one count of felony threat to terrorize, and one count of misdemeanor resisting arrest. A 32-year-old man from Temecula was arrested on suspicion of arson Wednesday night after he was accused of setting multiple fires, one of which burned thousands of acres in the San Bernardino National Forest, destroyed homes and forced thousands to flee. 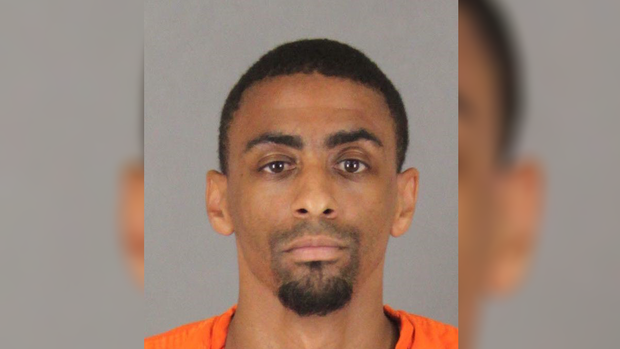 Brandon N. McGlover was arrested on suspicion of five counts of arson to wildland after the Cranston Fire erupted earlier the same day. 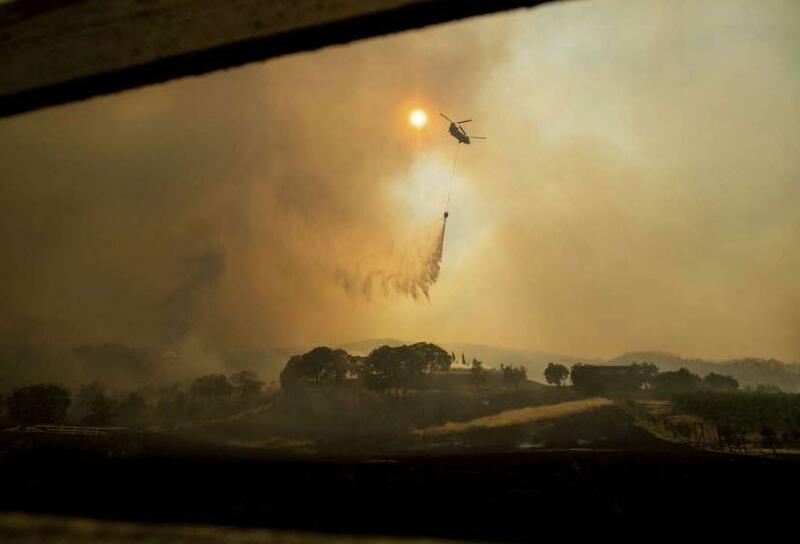 Finally, there is some good news, firefighters said for the first time tonight that they have made good progress battling the state's largest-ever wildfire, they admitted that they didn't expect to have it fully under control until September.